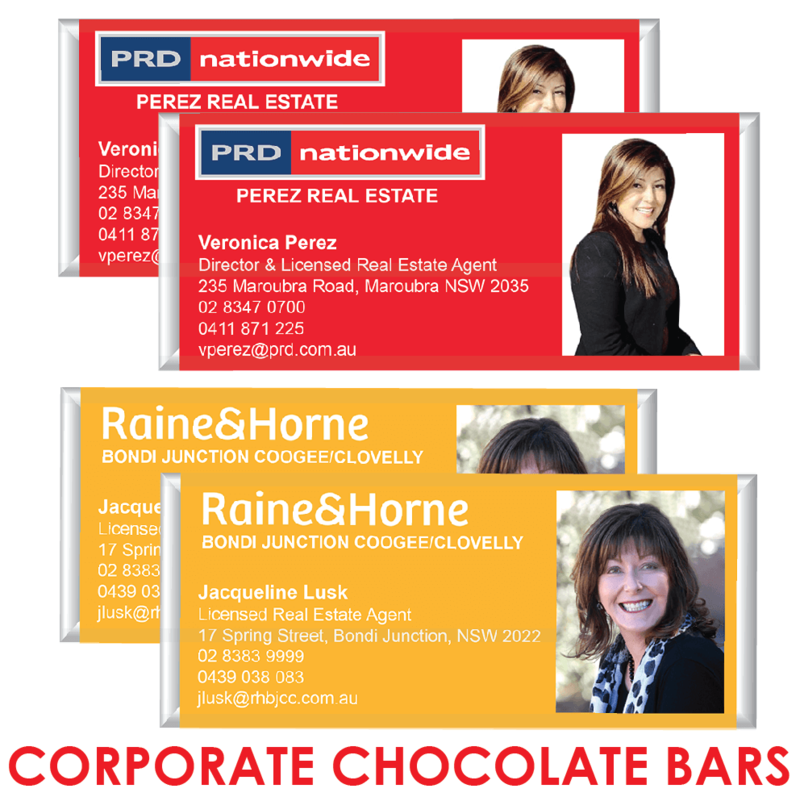 Personalised chocolate bars create a sensation. When looking for personalised promotional items you want your corporate brand to shine and on our Lindt chocolate bars you’ll get the worlds favourite chocolate as a bonus. Allow us to create a business wrapper for you or send us your artwork. Simply make your purchase below and email emma@favourperfect.com.au with your design requirements and we will create a custom design just for you with unlimited design revisions. Each chocolate bar measures 9.5cm x 4.5cm and are 40 grams each and have a typical best before date of at least 6 months.